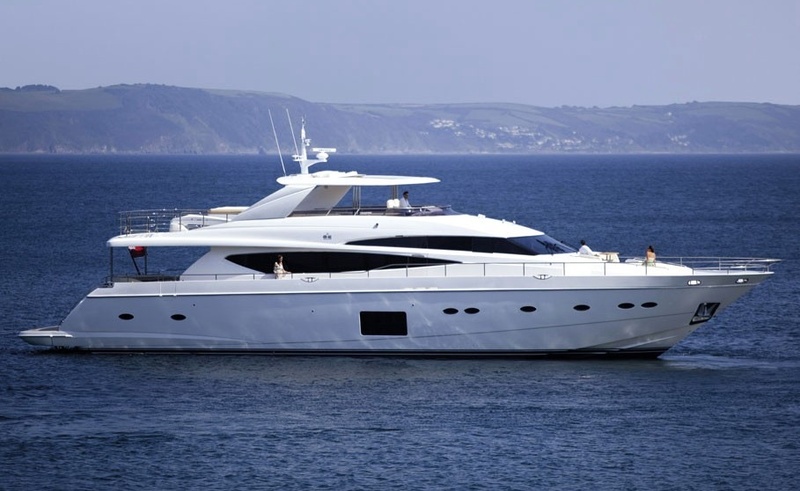 Luxury motor yacht CRISTOBAL (ex ALEXANDRA V) was designed and built by Princess Yachts of the UK in 2009. 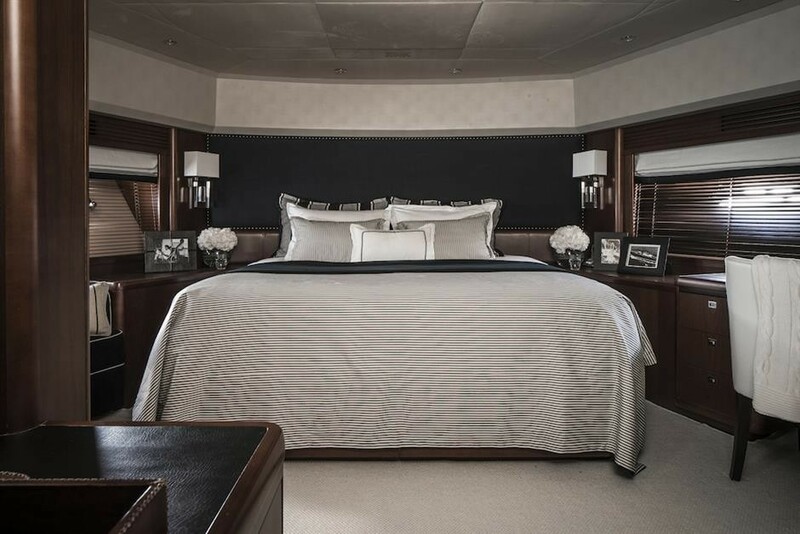 Receiving an extensive refit in 2014, the 28.96m (95') crewed charter yacht is available for up to 8 charter guests, boasting 4 spacious cabins and 5 dedicated crew. 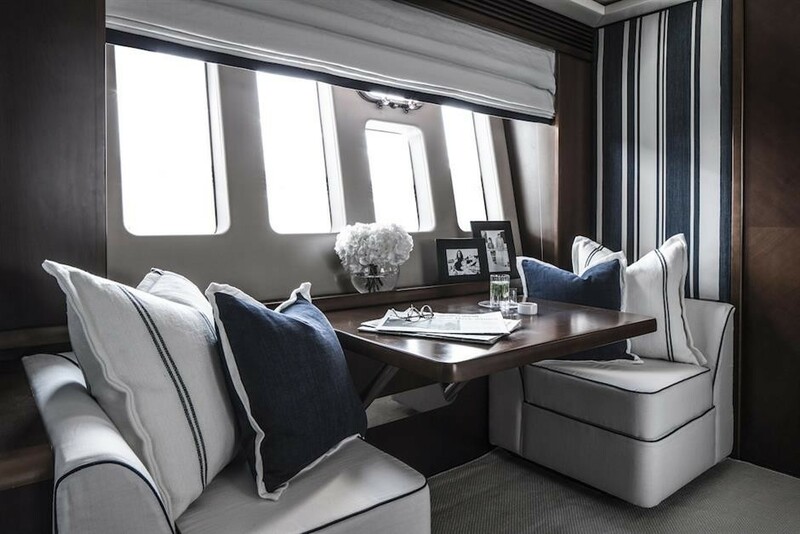 The interior design of M/Y CRISTOBAL was the creation of Cristians & Hennie, featuring a modern open plan, elegant furnishings and ample natural light, thanks to surrounding panoramic windows. 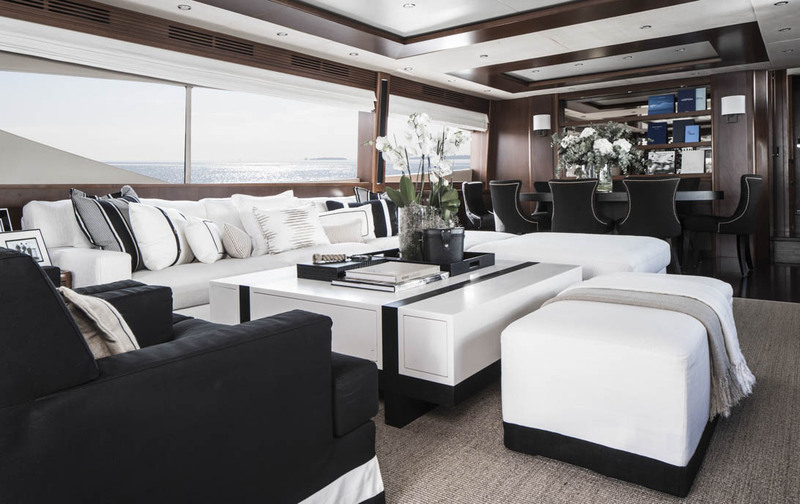 The main salon offers a comfortable lounge arrangement with central coffee table, ideal for socializing. 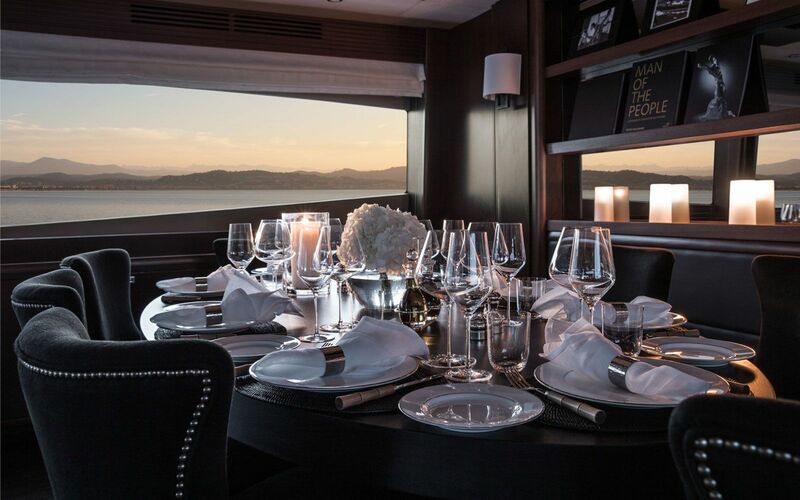 Forward is the formal dining area, offering seating in style for up to 8 guests. 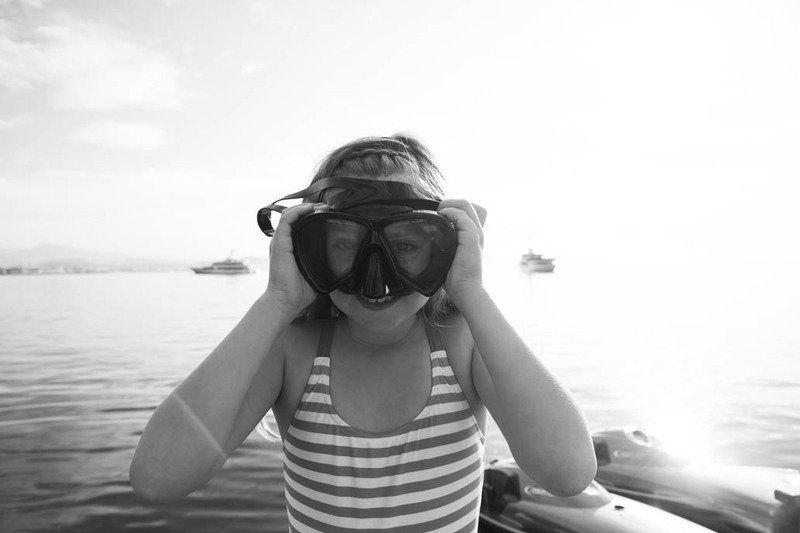 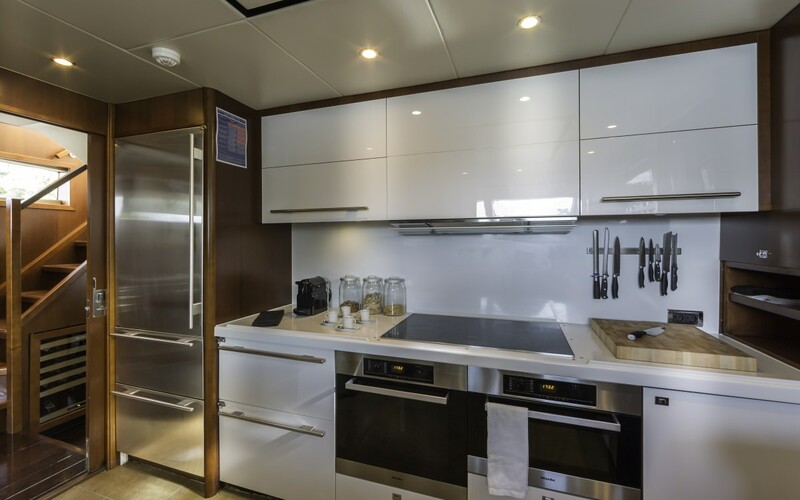 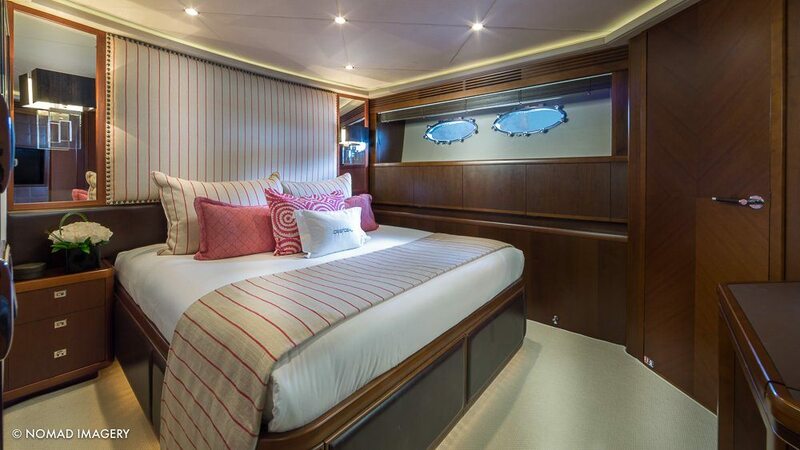 Guest accommodation is below decks in 3 double and one twin cabin, each with private en-suite facilities. 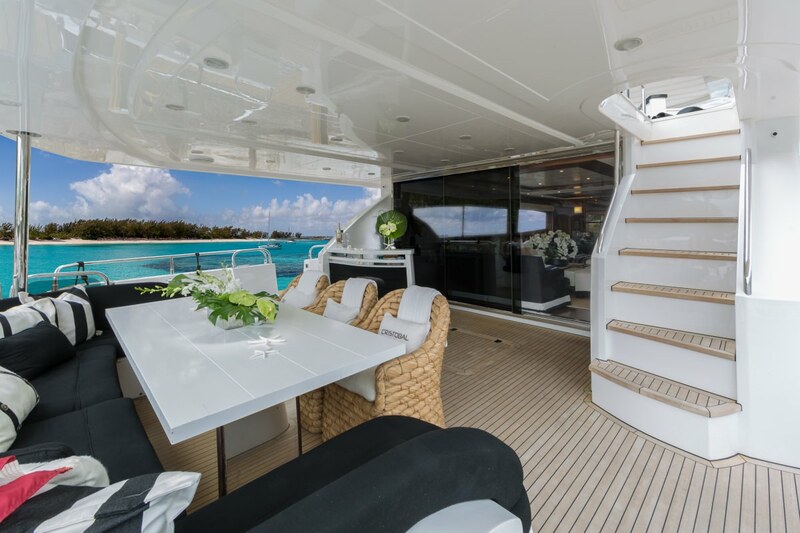 Exterior living areas are generous aboard CRISTOBAL, offering guests plenty of relaxing options. 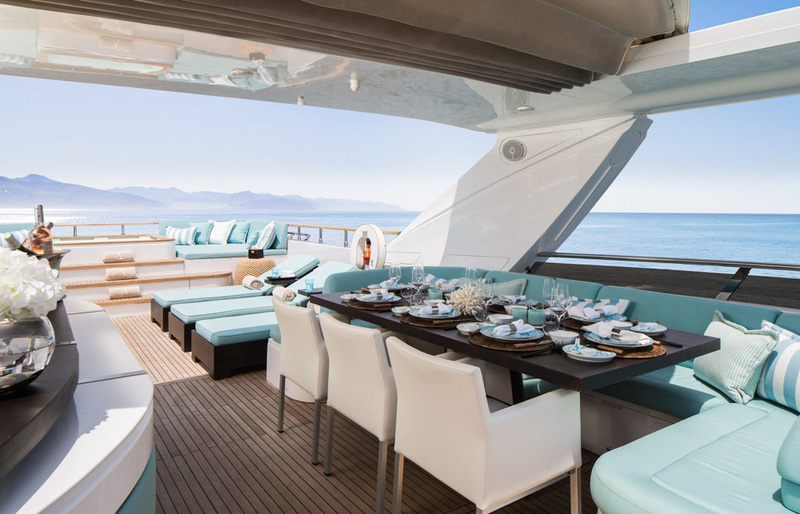 The aft deck is adjacent to the salon and features an alfresco dining area, seating, complete wet bar and partial shade. 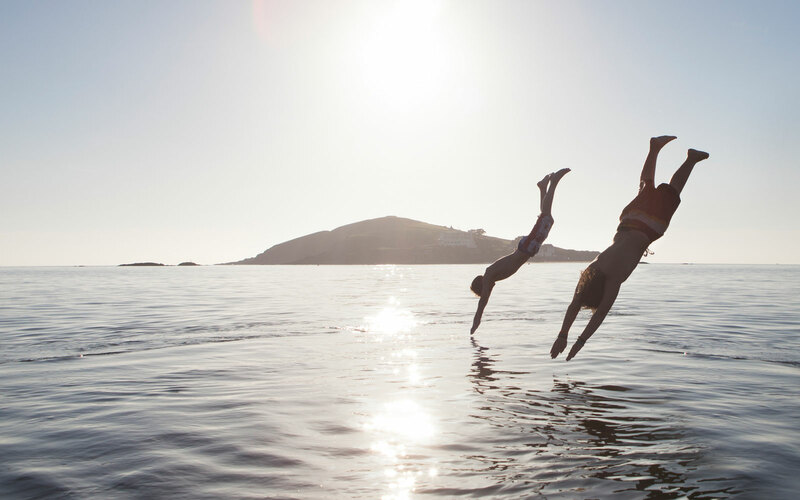 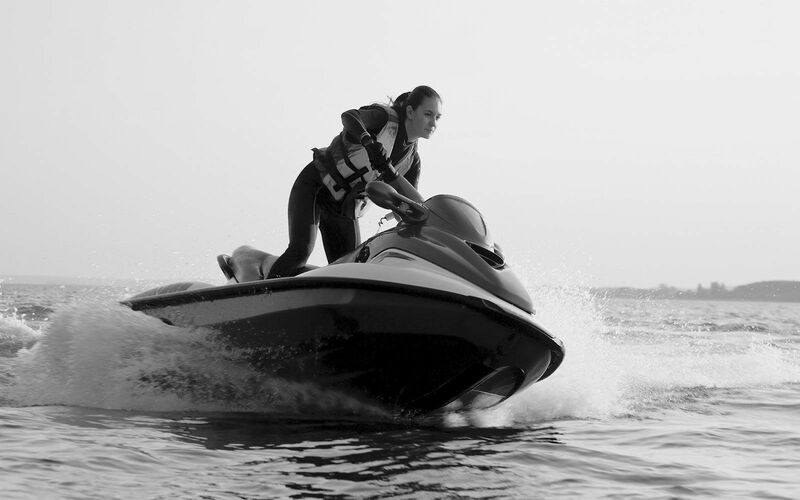 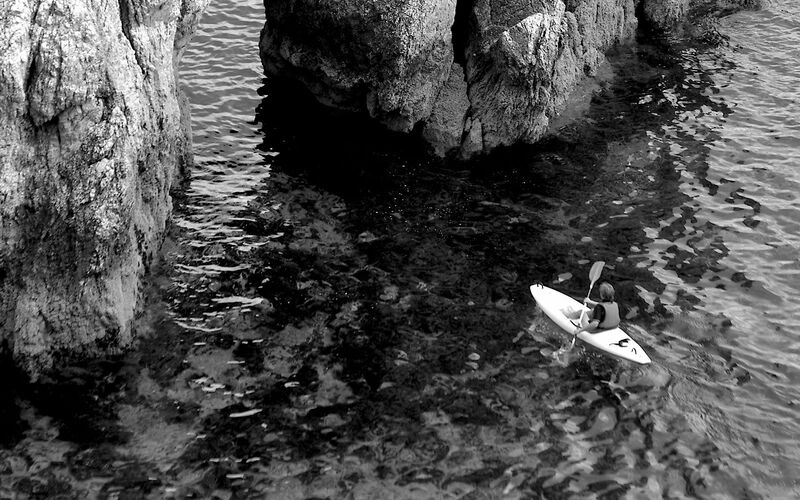 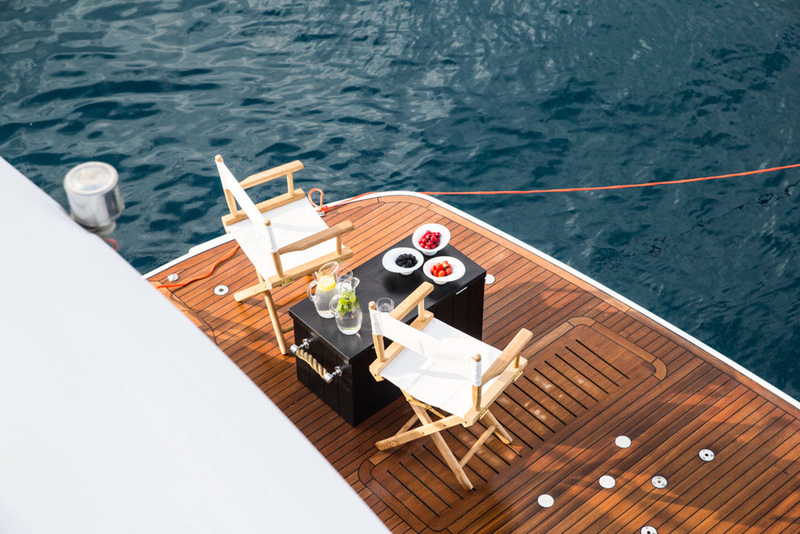 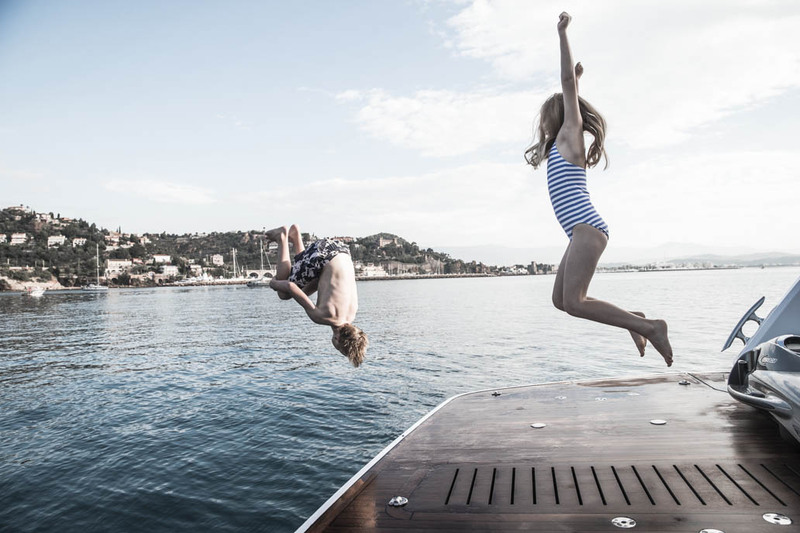 For the active in the group, the extended swim platform makes water access effortless, enabling easy use of the many sea toys available. 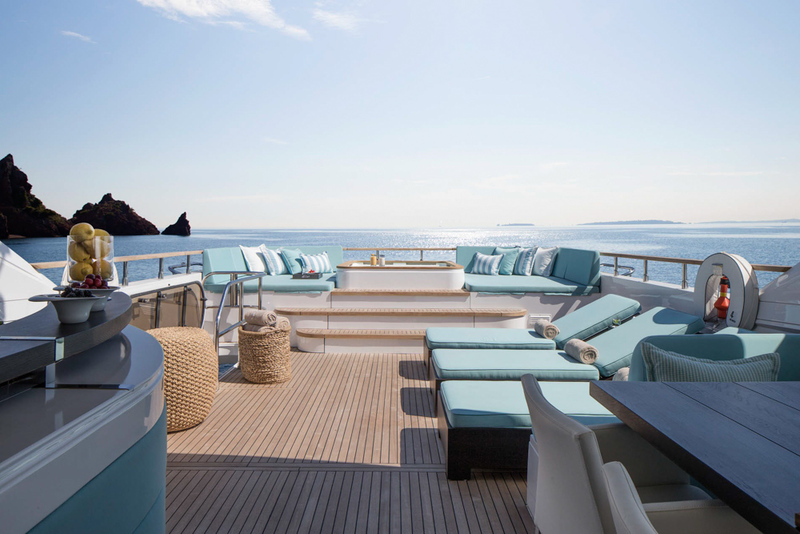 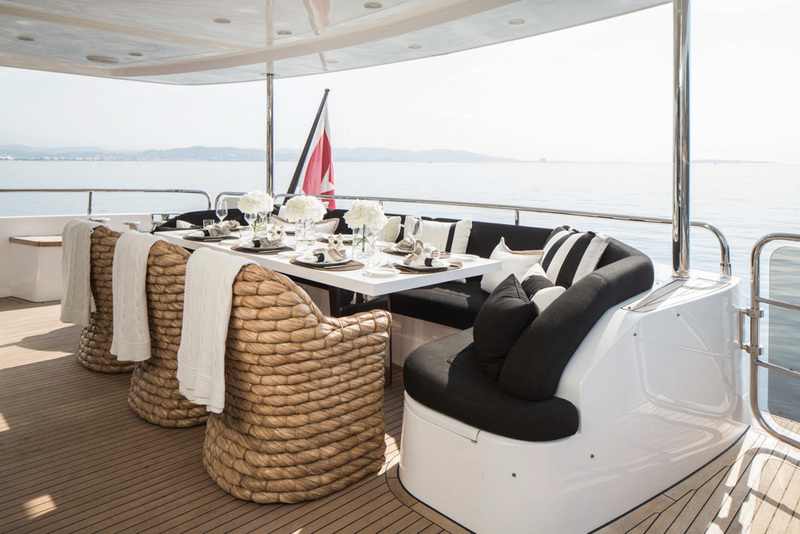 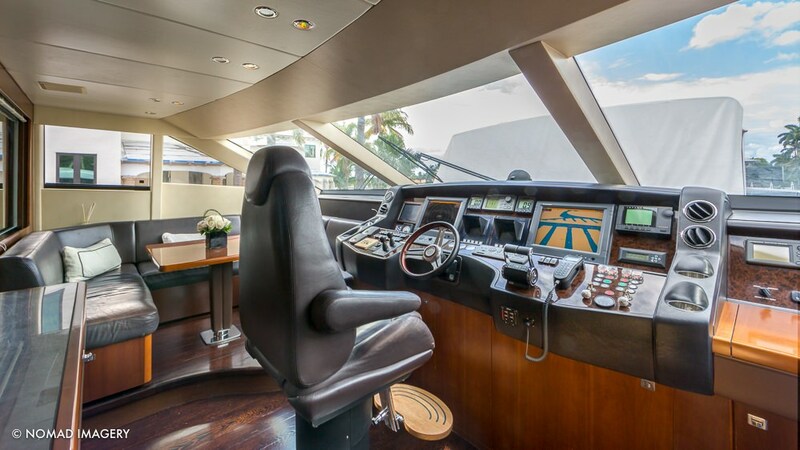 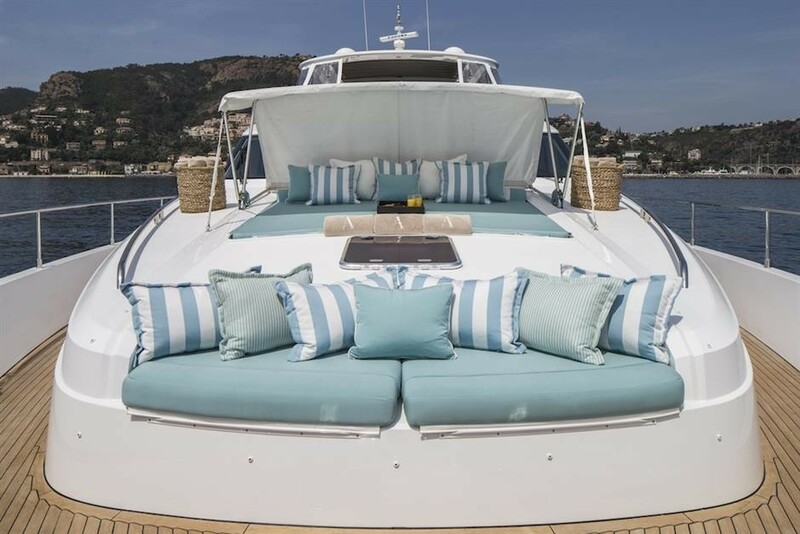 Her main deck wraps around the yacht, leading to the foredeck’s double sunpad and additional seating area, a perfect private retreat. 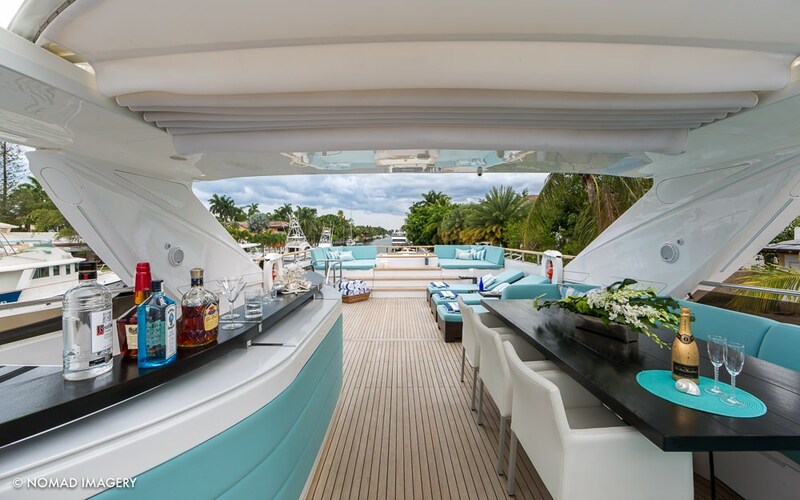 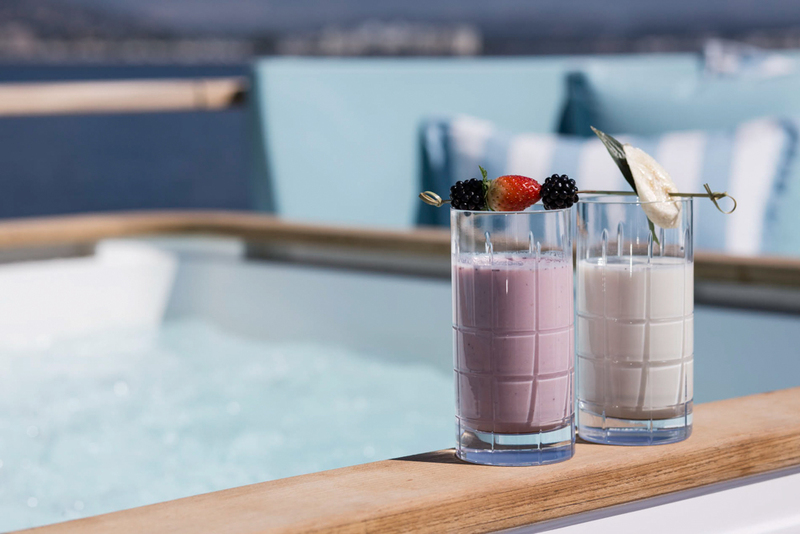 The sun deck is ideal for entertaining, complete with an alfresco dining option, wet bar, sunpad, deluxe Spa Pool tub and retractable sunroof. 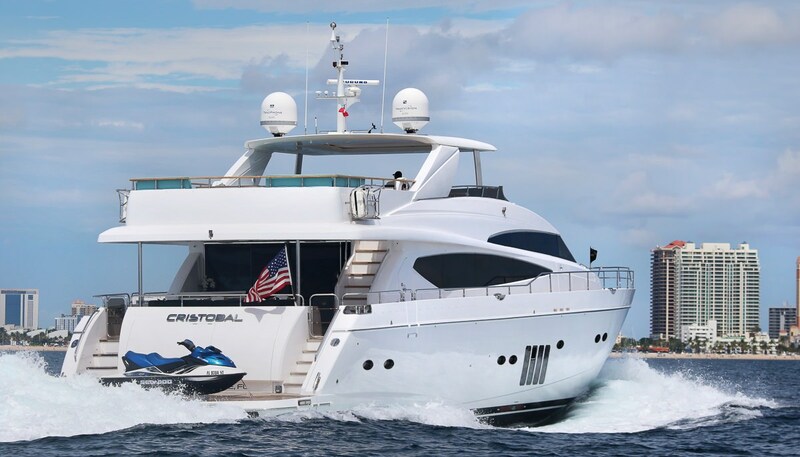 Powered by 2 MTU 2400hp engines, crewed charter yacht CRISTOBAL is capable of speeds ranging from 13 – 25 knots. 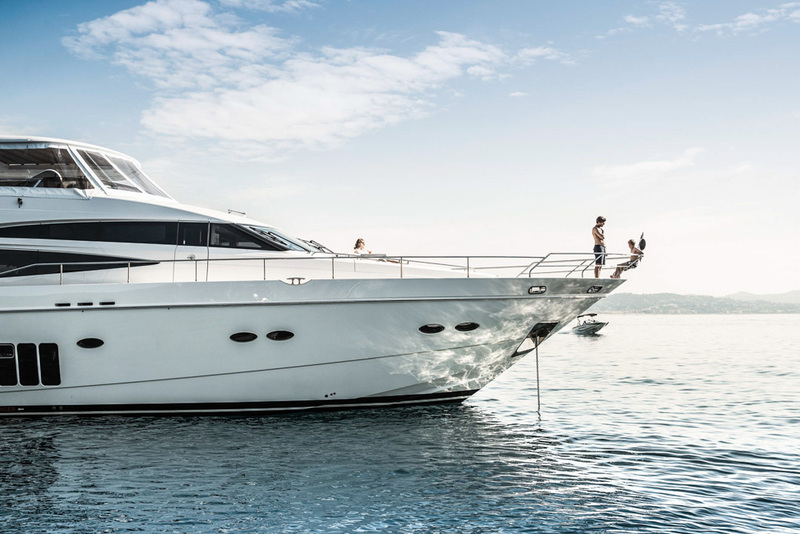 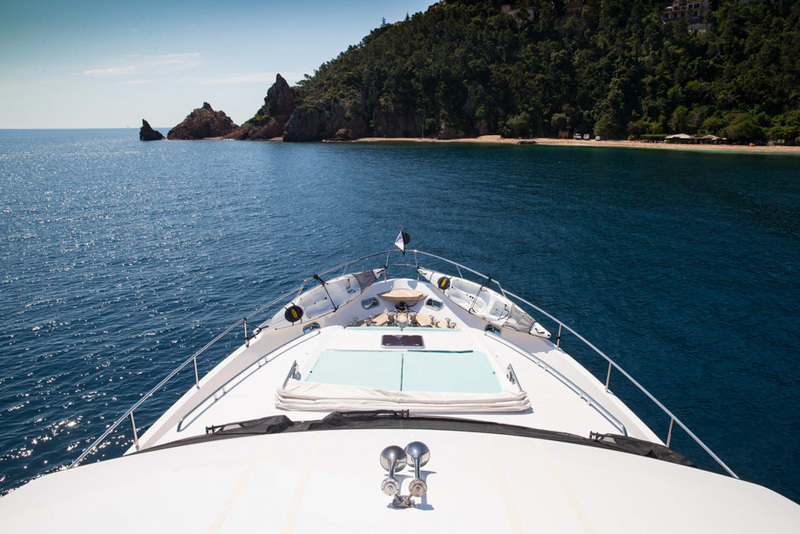 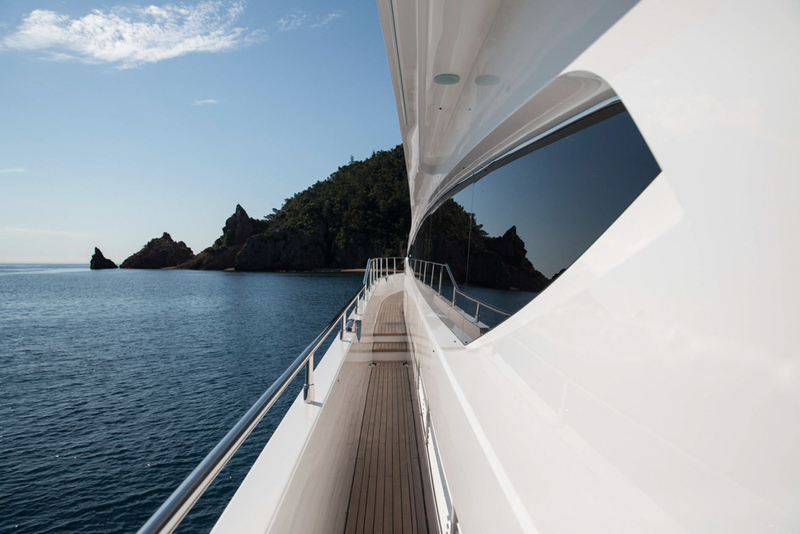 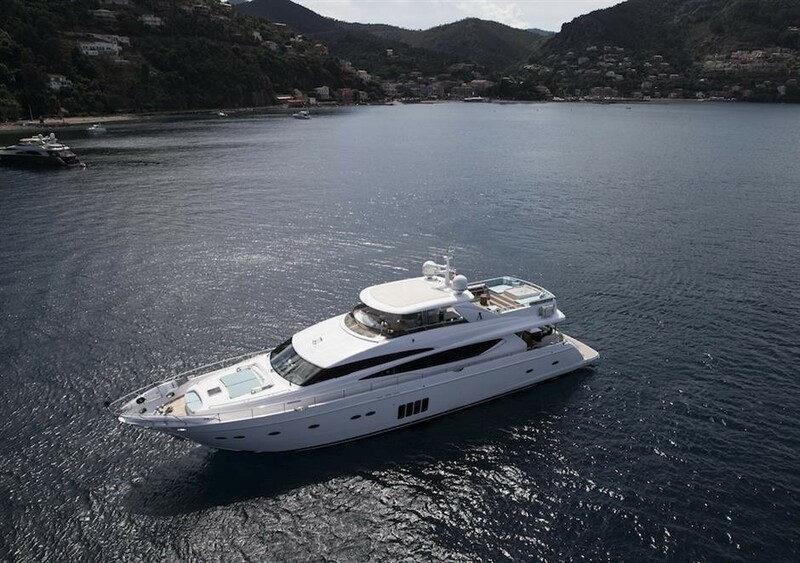 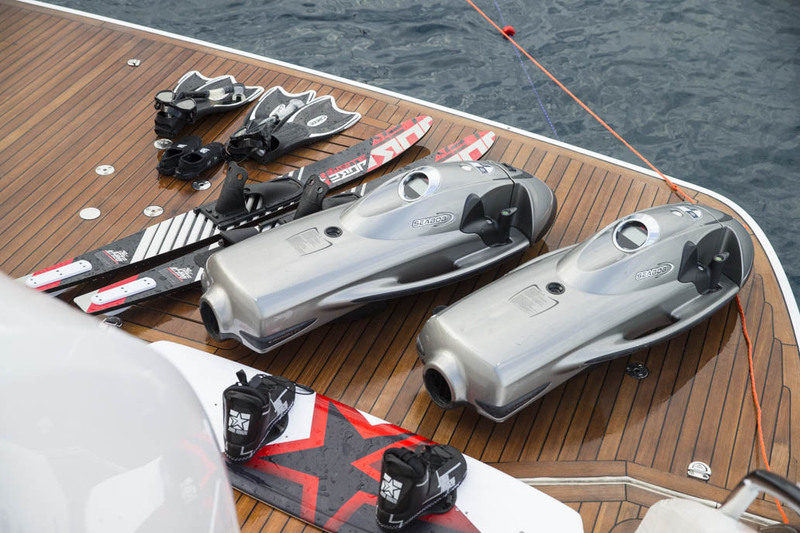 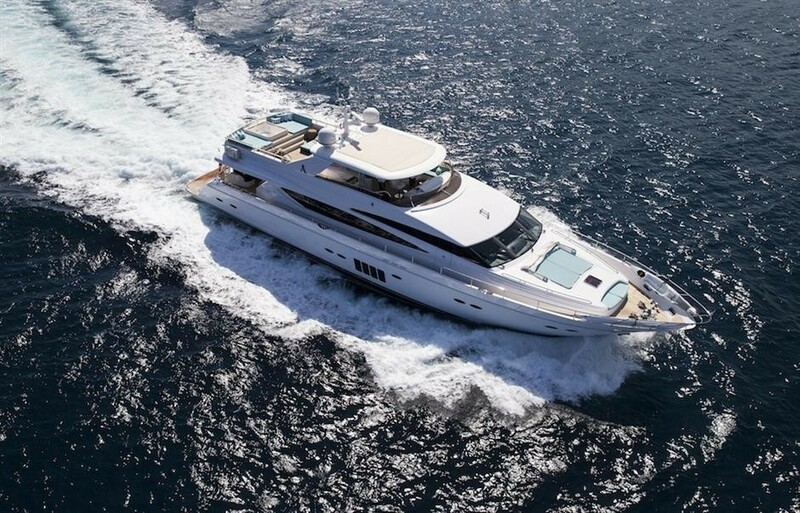 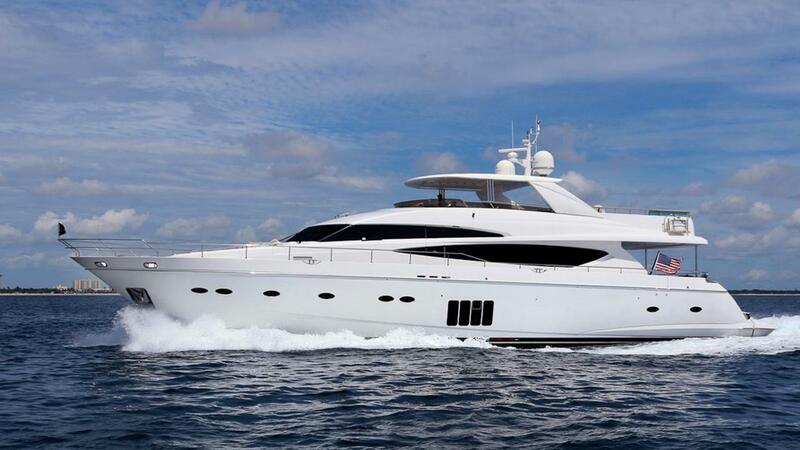 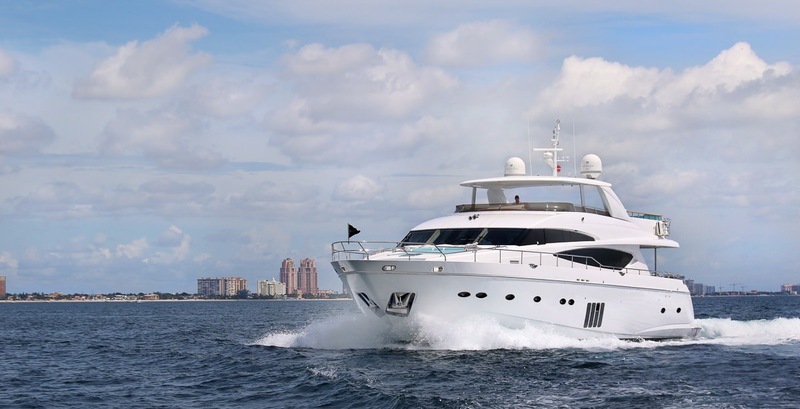 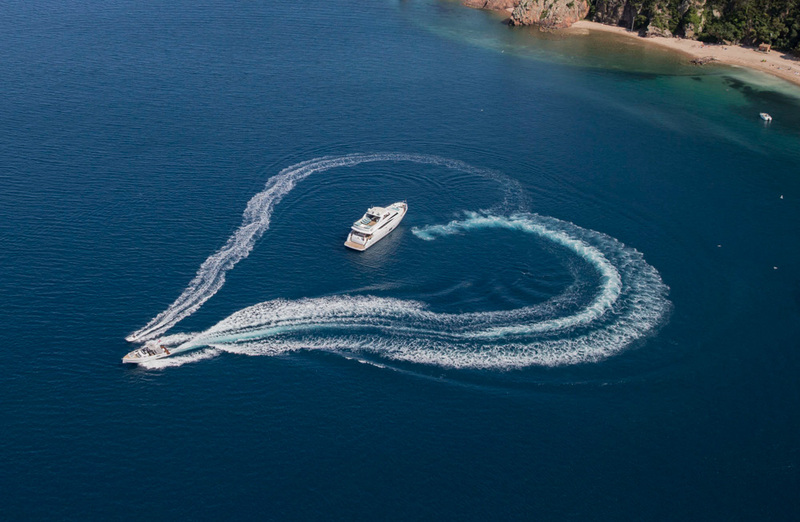 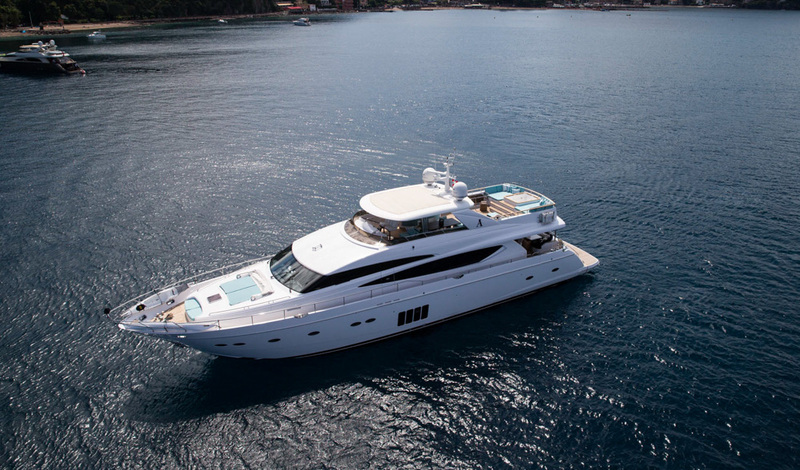 Her planing hull design and stabilizers ensure a smooth and exhilarating charter experience. 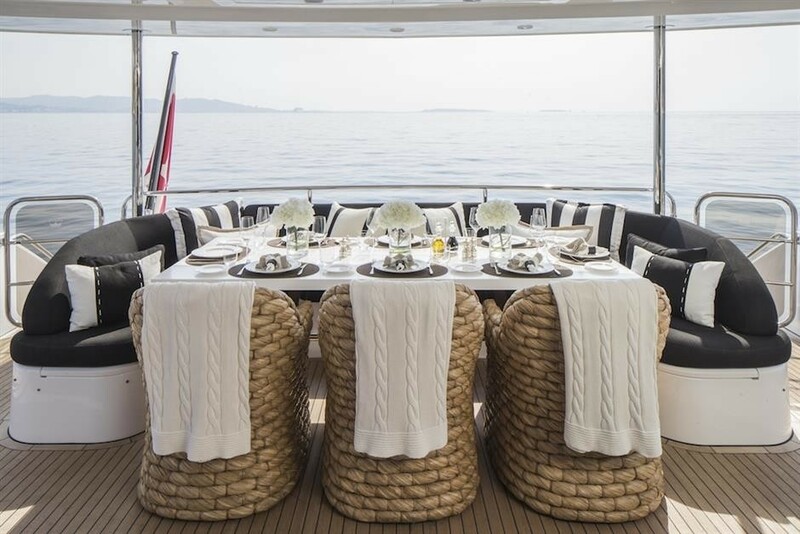 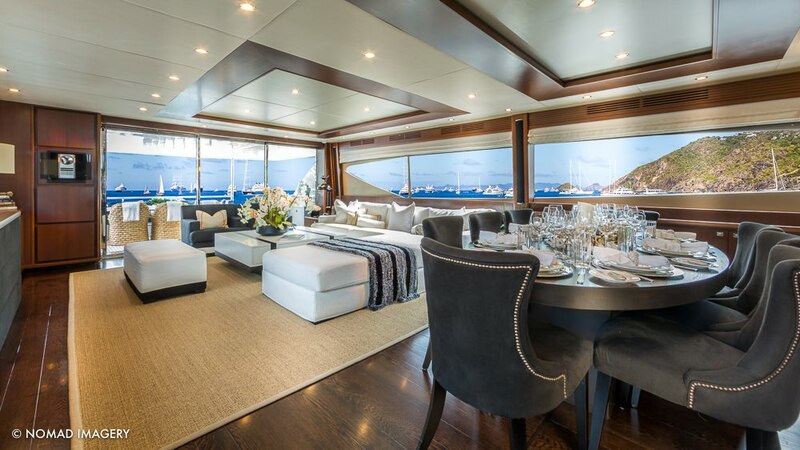 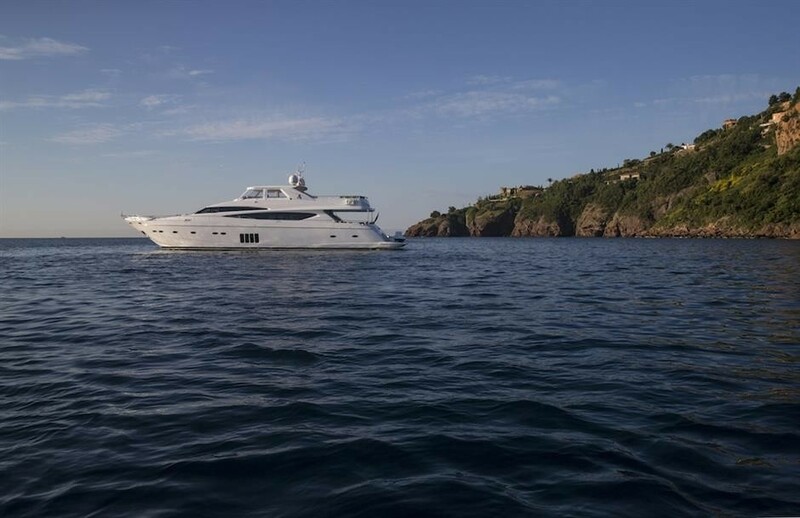 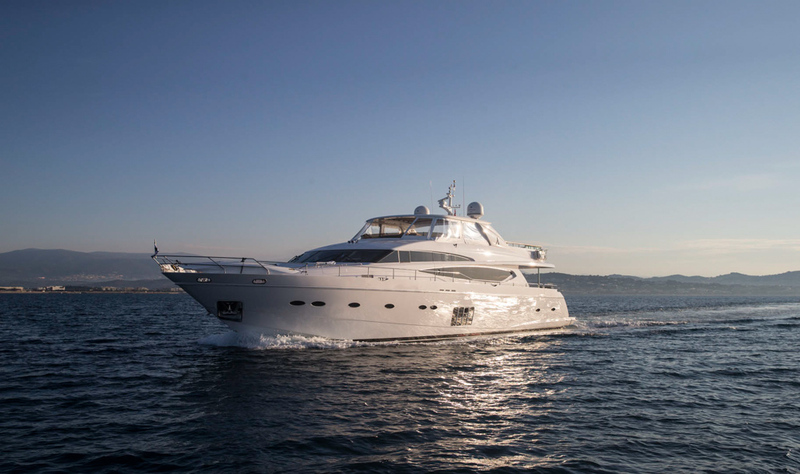 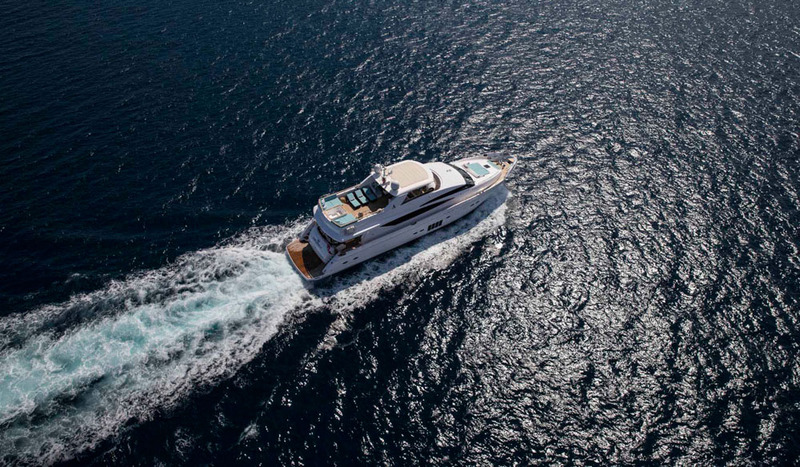 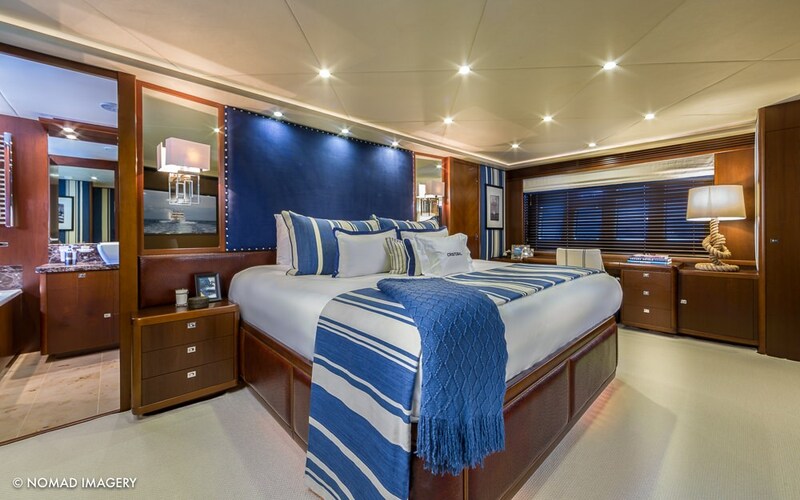 Below decks, luxury motor yacht CRISTOBAL offers accommodation for up to 8 charter guests. 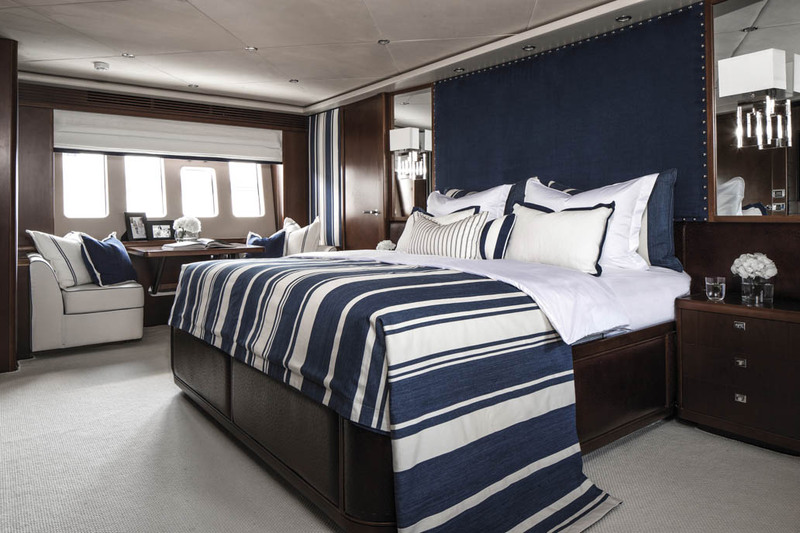 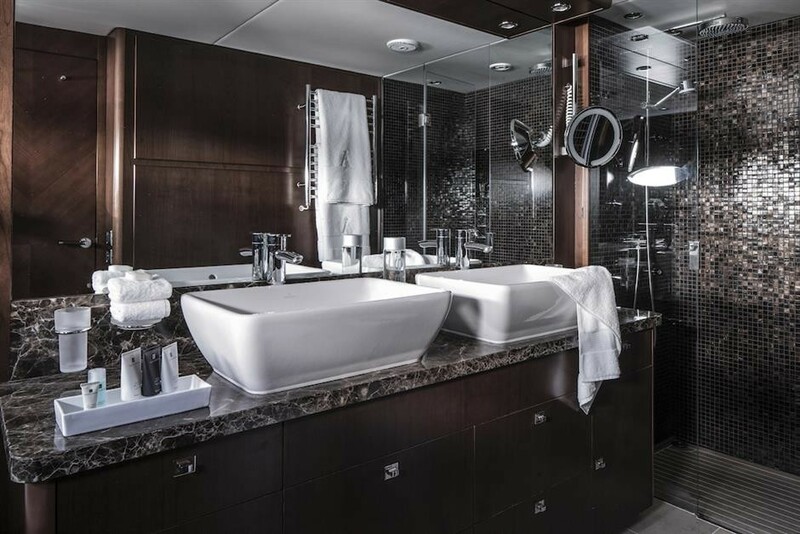 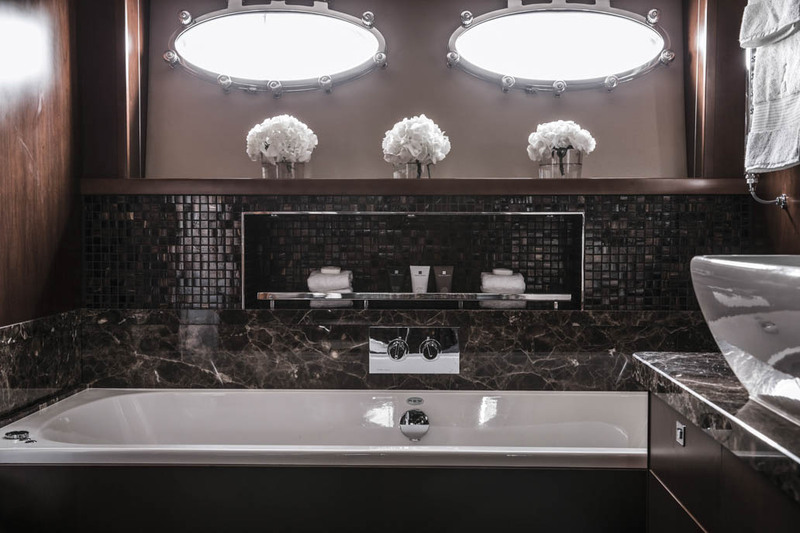 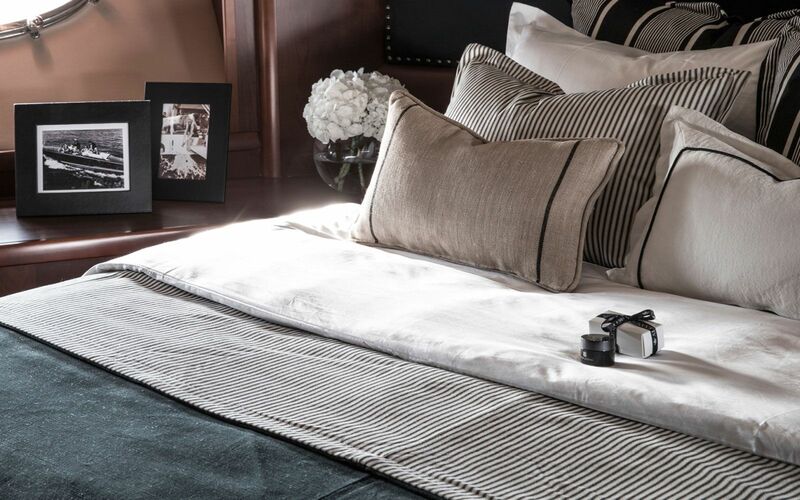 The master suite is amidships and full beam of the yacht with a center lined king size bed, sofa and vanity. 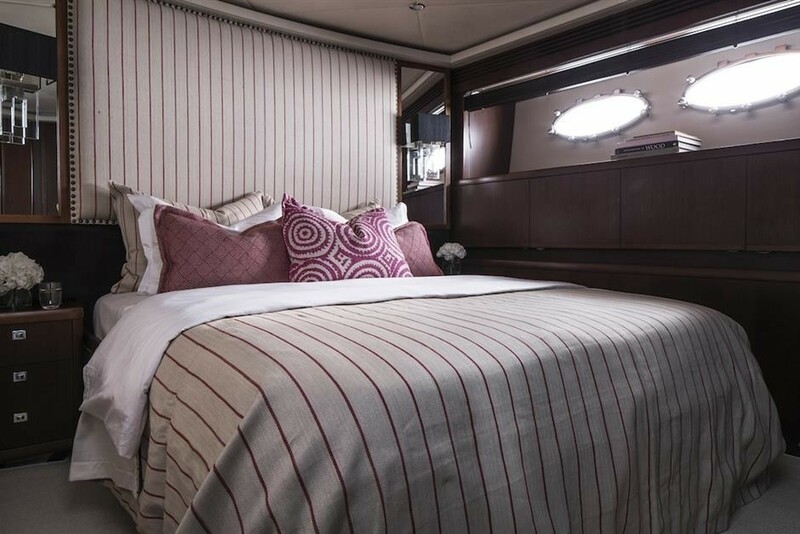 Forward, the VIP cabin boasts a full beam layout and queen size center lined bed, sofa and vanity. 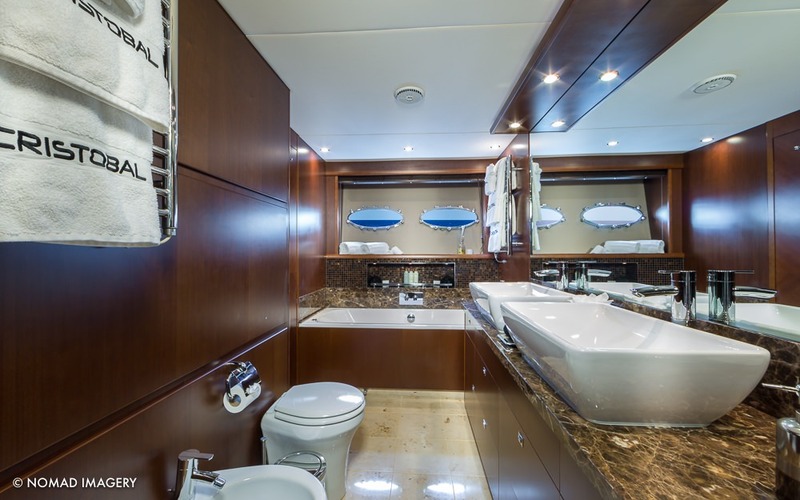 A guest double offers a double bed and vanity, while a further guest cabin has 2 side by side single beds. 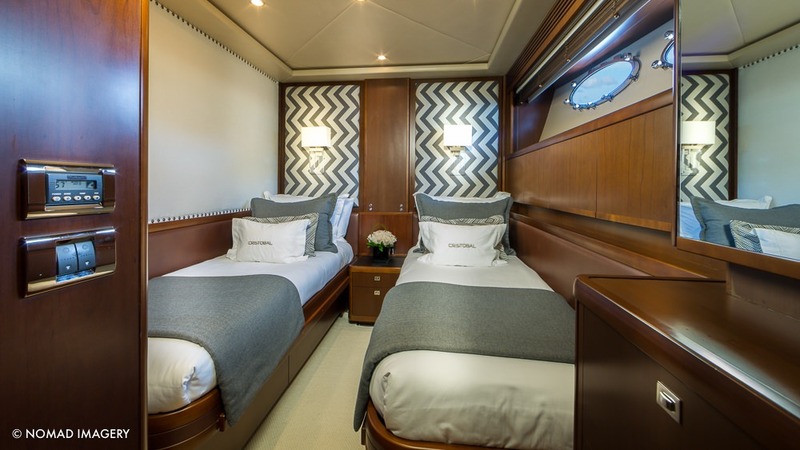 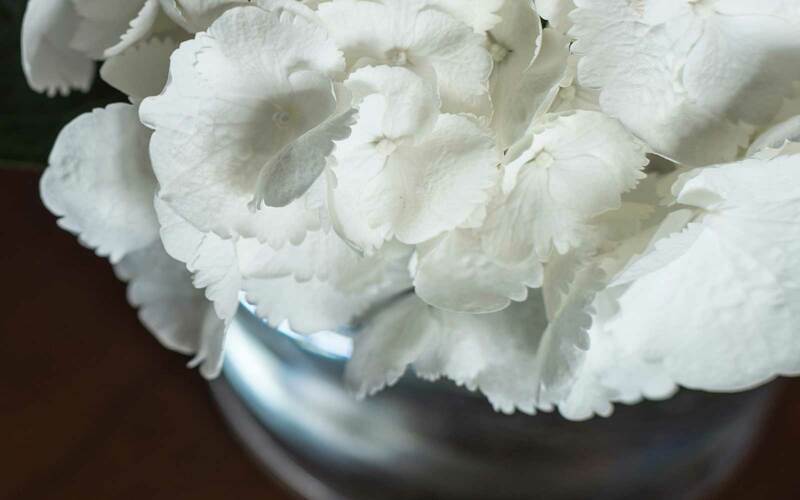 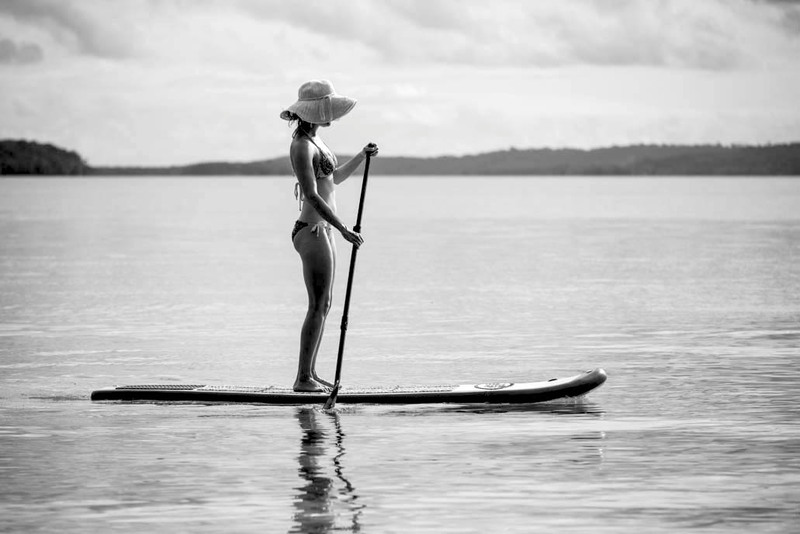 Each cabin is light and airy, featuring a serene ambiance and private en-suite facilities.